In the build-up to next week’s Symphony at the Tower concerts, the team at writewyattuk (OK, so that’s just me) follow this blog’s recent feature/ interview with Lucy Kay, a rising star on the classical crossover scene, by talking to an act enjoying accolades of their own on the North West indie rock scene and set to support Status Quo on Friday, July 3rd. It was a perfect midsummer’s evening when I caught up with Gary Taylor, vocalist and guitarist of the Blackburn-based New York Tourists, and close enough to his band’s forthcoming appearance at Hoghton Tower to wish for more of the same on the actual night. This band of up-and-coming 20-somethings with ‘dirty rock’ roots are set to step on stage for St Catherine’s Hospice’s big fund-raiser on Friday, July 3, at 7.45pm, just before the mighty Status Quo and after a group they already know well from the local circuit, fellow East Lancs outfit Good Foxy, from Clitheroe. So when did Gary get the call about this prestigious support? Well, I guess after all these years, Rossi and Parfitt’s outfit are their own tribute band really. Was their heyday long before Gary’s time? That particular Wembley Stadium fund-raiser just happens to have been more or less 30 years ago to the week. So will this be a chance for these two support bands to replicate that piece of music history? While maybe not in the same mega-league as the show’s headliners, New York Tourists have already had a few prestigious supports in their relatively-short spell together. “We supported The Futureheads twice, with them, Doves and the likes of Calvin Harris at Kendal Calling. Apparently, there was also a date with recent writewyattuk interviewees The Subways that didn’t quite happen, put down to the main act ‘being picky with their rider’ at Blackburn’s Live Lounge, leading to a late pull-out. Incidentally, the band has another date not so far from Hoghton Tower this weekend, the band visiting Preston’s Brockholes wetlands and woodlands nature reserve on Saturday, June 27th, for a late night cantina event. “It’s acoustic, and we don’t normally do that, but it’s part of a kick-starter campaign for our album. “We had a £2,500 target and actually managed to hit £3,500, which was great, with certain pledges securing certain things. And one was for this half-hour acoustic slot, which Crafty Vintage donated £100 for. “It might well become a regular event for us actually, maybe bringing in a new audience. These events involve street food, cocktails, different beers. It should be really good. Gary could get a job with the Lancashire Tourist Board at this rate, let alone the New York Tourists. And it works out that straight after their big Hoghton Tower date, the band play the Glastonferret festival in Preston. That Preston venue, just across the road from UCLan’s 53 Degrees, is another favoured venue for the band, although of course it might cause a slight dilemma if Francis, Rick and co ask their support back on to join them on Caroline or Down Down. New York Tourists are hardly strangers to the outdoor and marquee circuit, and as well as past Kendal Calling and the wonderfully-named Shrewsbury Fields Forever festival appearances, there was one in their hometown last year too. “Yes, at Blackburn we were the main support to Toploader, which was brilliant. We’ve quite a local following, so there were around 1,500 to 2,000 watching us. They’ve a few more dates lined up this summer too, and it appears that the NYT fan-base is steadily growing. So I see. Is there anything from the band’s well-received early EPs on there, or is it all fresh material? The album was recorded at Clitheroe Grand Studios, as per their first EPs, 2013’s Thank You and Goodnight and last year’s Dead Man’s Leather. Those songs hadn’t gone unnoticed either, receiving promising reviews, not least Chew Me Up, Spit Me Out, which was listed on BBC Introducing’s top 10 tracks of 2013. Gary, ‘born and bred in Chorley’, has been based in Blackburn for around three years now, having joined guitarist Carl Rutherford, his cousin Lewis Lovett on drums, and Graeme Anderson on bass in the first line-up, the latter two later making way for Adrian Mckenzie on bass and Joe Mooney on drums. “I was looking for bands and scouring the internet and they messaged me off a website, leading to this nerve-racking audition, with all their mates in the room. It did indeed kick off, and Gary says the band’s material is a lot ‘more catchy’ and dance-oriented now, ‘more towards an indie sound’ than their ‘dirty rock’n’roll’ roots. 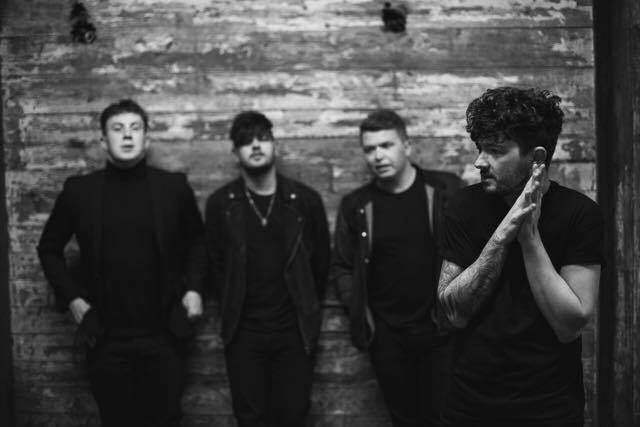 Early reviews suggest they were more Arctic Monkeys meet Led Zeppelin, but current comparisons suggest Queens of the Stone Age meets Foals, which I can concur from the band footage out there on the net. They’re well worth checking out, and I can also recommend the AC/DC and White Stripes-like Jacqueline, no doubt helped by their distinctive guitar style and Gary’s bluesy vocals. There’s not so much evidence of his appreciation of Johnny Cash yet, but maybe it will come out somewhere. So go on then – devil’s advocate time. Why the name? 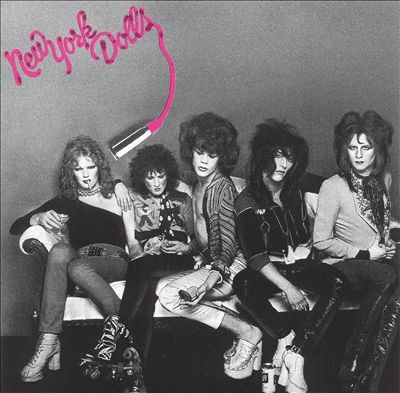 You’re hardly the New York Dolls, and they at least came from New York. Mmm, I can see they might have to reinvent that anecdote to add more mystique. But now at least you know. Besides, there seems to be a history of bands from Blackburn taking on the identity of other places, Morrissey’s former ’80s favourites Bradford springing to mind too. Finally, any chance of a special Quo cover in your set at Hoghton Tower? All the same, it might be a nice gesture, at least something unexpected in the band’s own style – checking first that the main act won’t be upset, of course. And with that Gary was back to the sunshine, dreaming of a further balmy summer evening on a local hillside … very soon. This year’s Symphony at the Tower events, featuring two nights of live music at Hoghton Tower, end a month of celebrations marking the 30th anniversary of St Catherine’s Hospice in Lostock Hall, near Preston. 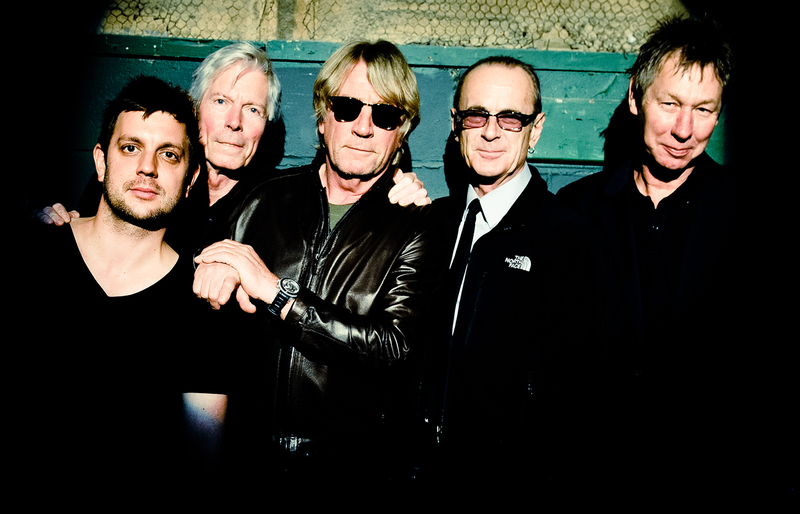 While Status Quo and co. perform on Friday July 3, the following night (Saturday, July 4) sees BRIT Award-winning classical vocal group Blake headline, supported by Britain’s Got Talent star Lucy Kay, a show closing with a firework finale set to the music of The Heart of England Orchestra. For tickets and further information, visit www.stcatherines.co.uk, ring the hospice on 01772 629171 or drop in at the hospice in Lostock Lane, Lostock Hall, PR5 5XU. There’s also a Facebook event information page here. To find the New York Tourists Facebook page, head here, and for the latest from Good Foxy try here. 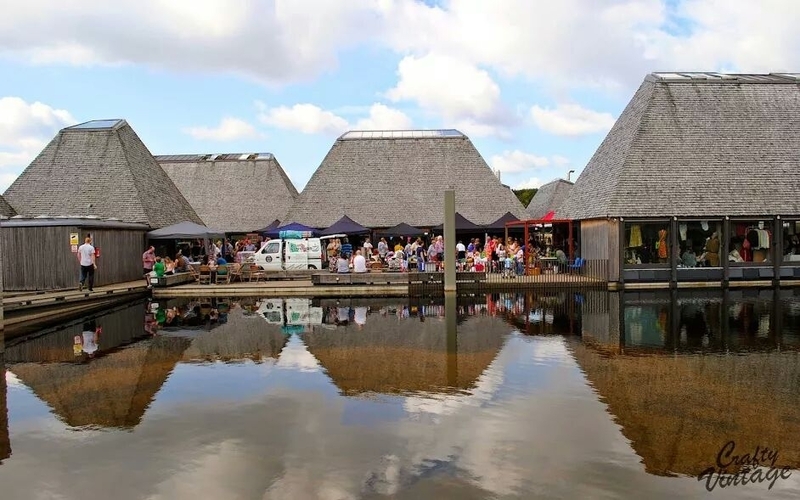 Finally, find out more about Crafty Vintage at the Brockholes centre here. 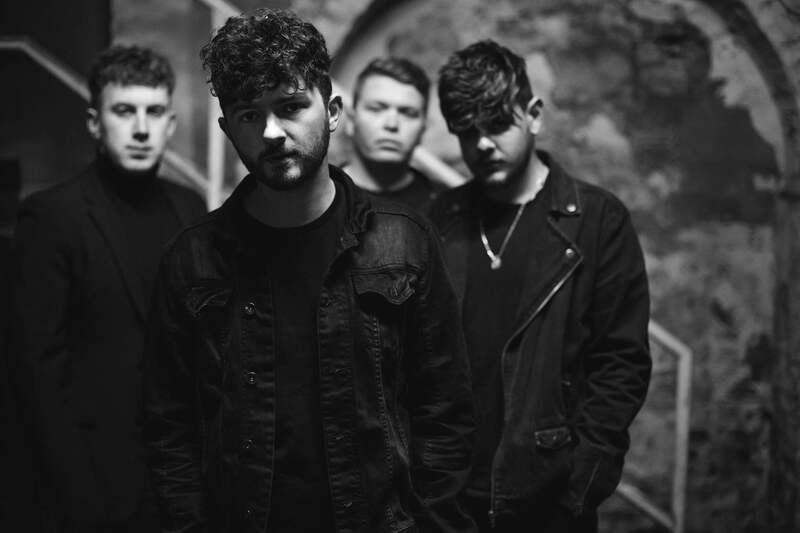 This entry was posted in Music and tagged Blackburn, Brockholes, Crafty Vintage, Foals, Gary Taylor, Good Foxy, Hoghton Tower, lancashire, Lucy Kay, New York Tourists, Queens of the Stone Age, Status Quo, Symphony at the Tower, The Cure. Bookmark the permalink.